The farm is always busy, but in July we really are out straight with our full cohort of critters, haying underway as well as weekly markets and daily chores. But 4th of July is always a highlight as it is Abby’s mom, Mary’s birthday and a holiday where food is central. 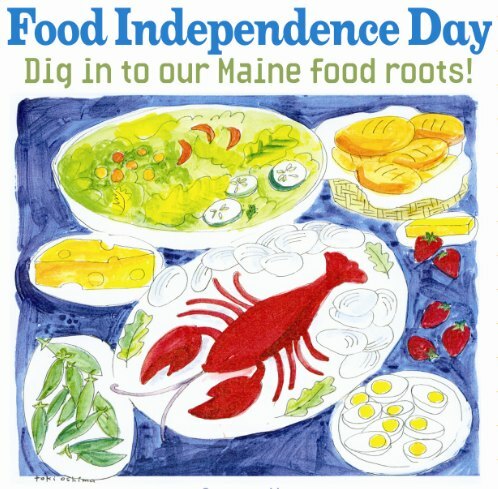 We can help you celebrate 4th of July AND Food Independence Day with FRESH CHICKEN this Saturday at both Bowdoinham Farmers Market and at Crystal Spring. Check out some delicious ways to cook a whole bird on our recipe board. We’ll also have a full range of beef cuts and promise our beef will make the tastiest burgers and the juiciest steaks. It is also time to mark your calendars for Bowdoinham’s Open Farm Day on Sunday, July 19. We’ll have a farm store set-up and you can take yourself on a tour or hear from one of the farmers on the hour. Apple Creek will be open from 9 am to 12 noon so be sure to plan your day!